Hej Hej! Happy Friday, everyone! Are you already in Christmas mood, put up your Christmas tree, baked Christmas cookies and got all the presents for your beloved ones? 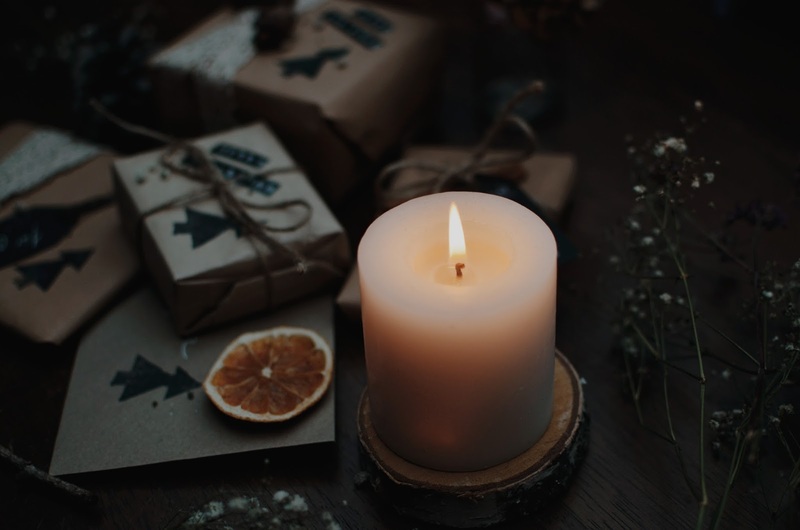 Slowly the Christmas feeling gets me as well, when I fire some candles during the dark nights, listen to festive music while running errands and snacking self-baked cookies for breakfast. A bit of snow would wrap this up! 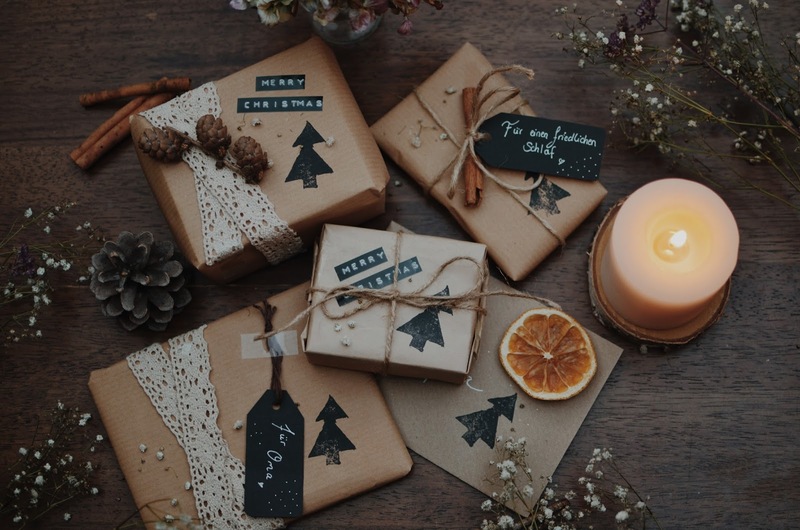 Talking about wrapping: How do you like to wrap your presents? Some like it very colourful and with lots of glitter, some like the simple and plain way better. I am one of the latter ones, enjoying some simple and natural decoration and creating little tags with names, messages or just some drawings. I am also a lover of all kind of lacy ribbon and self-made stamps and like to include some natural treasures like pinecones or fir-needles. When I was a little child, my wishlist has always been quite long, cutting all the dolls and other toys out of the catalogue, hoping for Santa to bring them on Christmas eve. Growing up I realized that there are more important things in life than all the material wishes we might have. Therefore I barely have any wishes to tell when my parents ask me what I would like for Christmas. I want them to save the money and do something good for themselves, I have everything I want – and everything else I can work for, to purchase it myself. Of course, I appreciate every single present I get nevertheless, especially because I don’t take it for granted! The same attitude I practice when it comes to getting gifts for my beloved ones. I just can’t stand all the stress, rush and materialism anymore that is controlling the advent time. When people rush through the cities stressing about what to get for their children, friends, and parents. 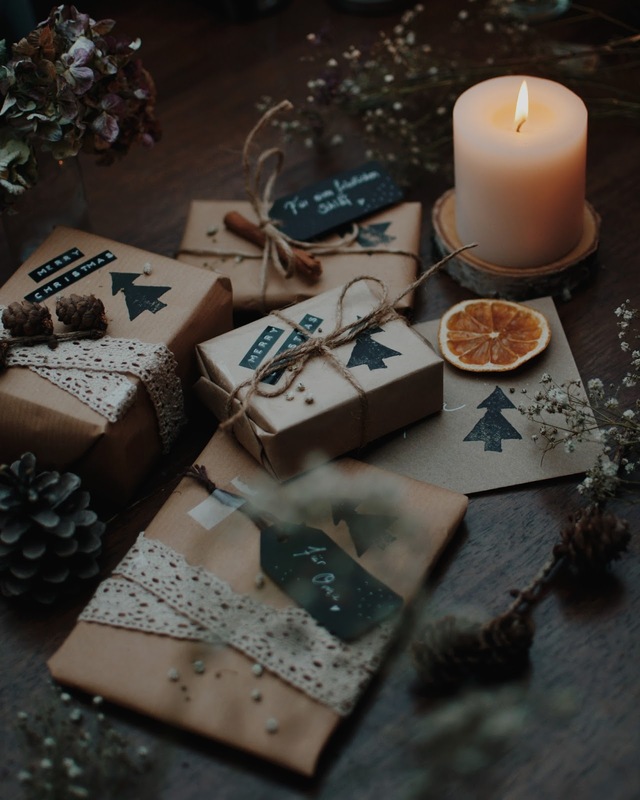 There is nothing about getting something beautiful for someone to surprise them with on Christmas, but despite that we should stop gifting for the sake of gifting and return to the true meaning of this time of love – appreciating each other’s existence and being together, gifting each other TIME! Because time is the most precious thing in life. We all just have a limited amount of it, and we should give it to the people that mean the most to us. 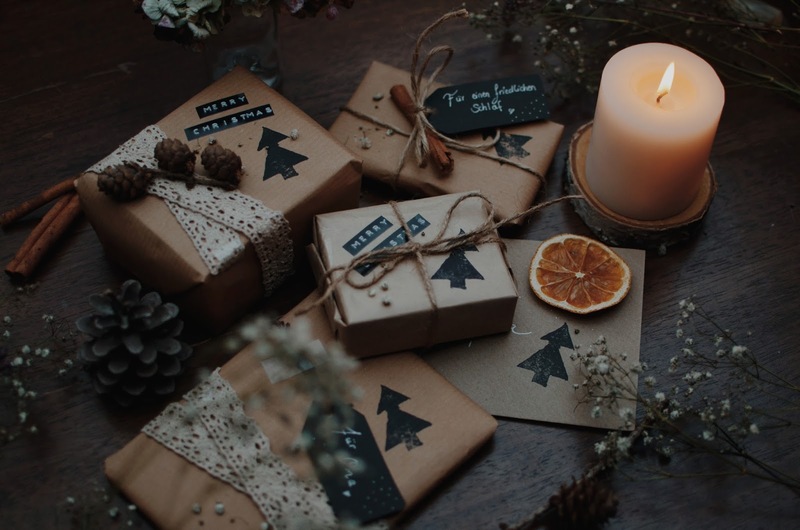 I stopped worrying about Christmas presents, I get my beloved ones something they might have mentioned or I think they will love, handmade or bought, it doesn’t matter and I gift them time, may it be baking cookies together, decorating the Christmas tree or having a wonderful Christmas evening together. Let’s find the true sense of Christmas again! I send you lots of love and wish you the most peaceful and magical Christmas time! 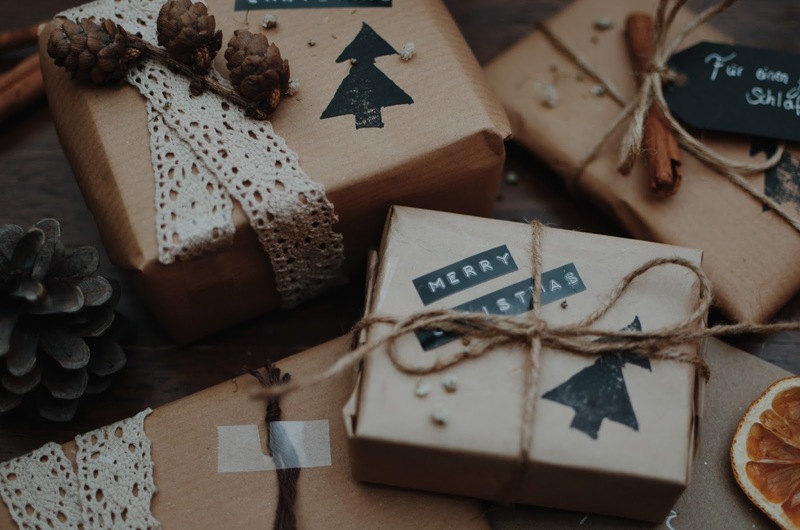 Let me know if you have a special surprise for someone this year and how you like to wrap your presents! Mein Vater hat als Kind eine handgemachte Müslischüssel mit einem Nilpferd in der Mitte (sein Lieblingstier) geschenkt bekommen. Leider ist sie nach einigen Jahren kaputt gegangen. Sie wurde mit Liebe wieder zusammengeklebt aber nun hat sie nur noch dekorativen Nutzen. Dieses Jahr habe ich von einem Geschäft in Frankfurt erfahren in dem man Keramik selbst bemalen kann. Ich werde ihm also eine neue Müslischüssel bemalen und ihm als Überraschung schenken. Ich bin nicht der große Schenker (meistens bin ich mit der Geschenkewahl überfordert) aber ich denke er wird sich sehr darüber freuen! wunderschön verfasst! ich bin dieses jahr vorne dabei beim schenken schenken: ich spende geld im namen anderer an organisationen die es brauchen.